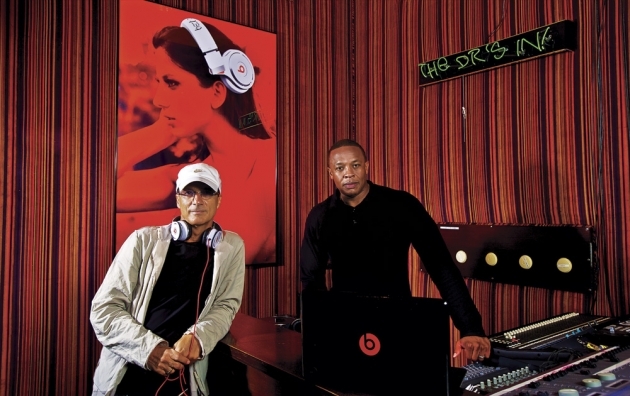 Jimmy Iovine and Andre Young (aka Dr. Dre) are music industry titans. Young is an iconic music producer and artist who has sold millions of records. Iovine has produced some of the seminal albums in rock and pop history and co-founded one of the most successful record companies. Together they created a thriving business empire combining design and sound engineering. But the tie that binds these business partners and friends goes beyond music: It’s their ongoing quest to develop creative genius in others. When they’ve sensed brilliance in artists, they’ve coaxed and challenged them toward greatness. It was Young who pushed Eminem to perfect the raw rhymes that made the rapper a breakout star; it was Iovine who spent countless bleary-eyed hours at a console teasing out the right bolts of sound for the likes of classic rock icons such as Tom Petty. Their quest for uncompromising authenticity and cultural relevance propelled the pair in their music careers. But it also launched them to nearly immediate success as they’ve expanded into other fields—most notably when they started Beats by Dr. Dre, a high-end audio product line that’s the standard-bearer for their company, Beats Electronics. Iovine and Young believe the cultural, technological and commercial horizon belongs to innovators who cross boundaries without fear. It’s in the grasp of those who spot the next Lady Gaga in a sea of artistic sameness. It’s the domain of those who, like Apple’s late Steve Jobs, recognize that the combination of design and technology can change the world. But the two men also recognize a challenge: It’s hard to find these innovators. Where are the brilliant problem solvers with an eye for business, technology and the arts—the passionate people who’ll form the lifeblood of burgeoning entertainment and media ventures like Beats? 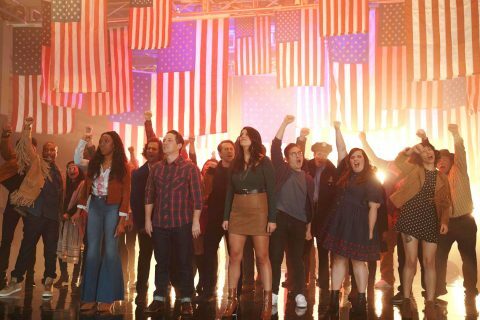 Where are the convention-defying wizards who can squeeze the zeitgeist and shake out the digital future? To nurture the next generation of prodigies, Iovine and Young turned to a Los Angeles partner that has unique expertise and, more importantly, a similar ultimate goal. Later that morning, USC President C. L. Max Nikias stepped to a podium at a press conference at a recording studio in Santa Monica, Calif. Nikias was eager to announce Iovine’s and Young’s gift, one of the most recent highlights to the $6 billion Campaign for the University of Southern California and the impetus for a new program. “When you look across the landscape of USC’s history, you can point to a handful of milestones that have transformed our entire academic community. Today we mark the beginning of something revolutionary—something disruptive that will provide a unique education for a very special type of student,” Nikias told reporters. 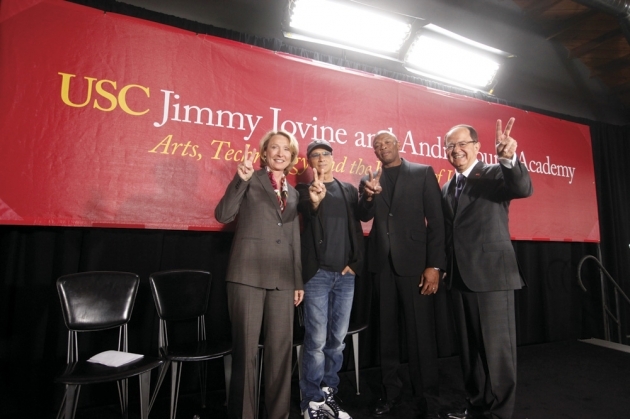 He was introducing the USC Jimmy Iovine and Andre Young Academy for Arts, Technology and the Business of Innovation, set to enroll its first students in fall 2014. Nikias describes the academy as an environment for unique undergraduate students whose interests span fields including marketing, entrepreneurship, computer science and engineering, audio and visual design, and the arts. The four-year program will draw students who want to create new art forms, technologies and business models. “The lines between technology and the arts are starting to become blurred—in a great way,” Iovine told the media. To take advantage of these intersections, the academy brings together top faculty from the USC Marshall School of Business, the USC Roski School of Fine Arts, the USC Viterbi School of Engineering and the USC Thornton School of Music. Industry experts also will appear as visiting faculty and guest speakers. Erica Muhl, dean of USC Roski, is the academy’s inaugural director. Muhl remembers when Iovine and Young first approached USC with the idea. Iovine told her about two technically gifted employees at Beats who also keenly understood the arts and pop culture, and he wished there were a way to identify and develop students with similar promise. Muhl was on the same wavelength as Iovine and Young immediately. As someone who grew up in the entertainment industry, she keenly understood intersections among the arts, business and technology, and their ability to shift culture. She also knew that USC was ready to bring these worlds together. Nikias likens the USC Iovine and Young Academy to Plato’s Academy, an exclusive 4th century B.C. club for great thinkers that tackled questions from politics to science. Perhaps USC’s academy is an entrepreneurial version for the modern world. Its mission certainly fits with USC’s increasingly interdisciplinary ambitions. Nikias and fellow USC leaders are committed to fostering experimentation in the arts as well as collaboration among engineers, scientists, humanists and entrepreneurs. Among the examples: USC Viterbi launched an effort with a Silicon Valley venture capital firm and a top Beverly Hills, Calif., talent and literary agency to launch startups among USC students and alumni; and USC’s video game program combines engineering, cinema, design, entrepreneurship and storytelling. Ultimately, the academy’s collaborative teaching aims to arm USC’s students with the skills, inspiration and vision to predict future-shaping technologies and artistic trends. “Flexibility is a hallmark of USC, and the academy’s curriculum is incredibly adaptive,” Muhl says. “The curriculum was created to take full advantage of a newly designed, revolutionary educational space that will offer students very powerful tools. Academy students will have the freedom to move easily from classroom to lab, from studio to workshop, individually or in groups, and blow past any academic or structural barriers to spontaneous creativity. Los Angeles, a global center for the arts and new media and a technology hotbed, is a natural home for the academy. 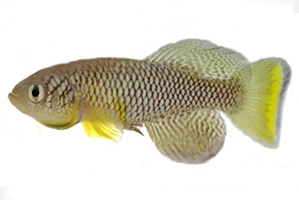 After all, one of the academy’s namesakes is Straight Outta Compton. That’s the title of the landmark 1988 hip-hop album by N.W.A., the group that first shot Dr. Dre to music fame. His Compton, Calif., hometown lies just south of USC’s University Park Campus. He was an architect of West Coast rap; in 1992, he released his solo debut, the G-funk masterpiece The Chronic, which Rolling Stone hailed as one of the greatest albums ever made. With the launch of his own record company, Aftermath Entertainment, in 1996, Dr. Dre went on to discover and nurture such next-generation hip-hop superstars as Eminem, Snoop Dogg and Kendrick Lamar. Though Iovine hails from Brooklyn, N.Y., and got his start at a New York recording studio, he’s now a Los Angeles fixture as well. The co-founder of Interscope Records is one of the music industry’s most accomplished and respected leaders. Iovine began his four-decade career as a recording engineer, working with the likes of John Lennon and Bruce Springsteen. As record producer, he was instrumental in the career breakthroughs of artists such as Patti Smith, U2, Stevie Nicks, Dire Straits and The Pretenders. Interscope has been the home to some of music’s greatest artists, including Lady Gaga, Eminem, U2, Nine Inch Nails and The Black Eyed Peas as well as his now-business-partner, Dr. Dre. In 2008, Iovine and Young co-founded Beats Electronics, a high-performance headphone and sound transmission company intent on recapturing the fidelity of the studio. About 40 percent of the billion-dollar headphone industry now belongs to Beats, and the company is now expanding into computers, smartphones and car audio systems. Despite the company’s success and the duo’s Grammy Awards and their influence on pop culture, Young understands that their best work may lie ahead of them.